Your non-profit organization is unique and what and how you offer services to your members is unique as well. You may offer a newsletter subscription, events or workshops, discounts on products and services or special gifts. It can be challenging to manage all this and your member database. If you’re looking for a better way to manage your non-profit organization, there are several software options that can help. Before you make a decision, it’s important to understand what your organization needs. 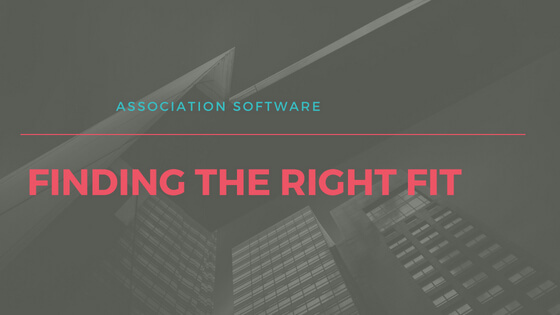 An association management system, or AMS, can help you keep track of the member benefits and services you offer and provide a centralized location for communicating with your members. For most non-profit organizations, investing in management software can save time and energy so you can better serve your members or the cause you support. What do your members get for being part of your organization? Do they get services, product discounts, event invitations, or regular communications like a newsletter? A member management tool or AMS can help you manage the benefits you offer your members. Speaking of members, how do you get new members to become part of your organization? How easy is it for existing members to renew their membership? Some AMS tools automate the membership process and even offer the ability to save payment information so that members can pay to renew automatically. How often do you communicate with your members? How do you communicate with them, do you send a weekly email, a monthly newsletter or digest, invitations for classes or events or limited time discounts? Maybe, in addition to communicating with your members directly, you want to form sub-groups within your organization to create a sense of community among your members. An AMS can help you organize and automate your member communications. To maintain your member base and make sure they feel appreciated, it’s important to provide good customers service to your members. An AMS system to help you manage your membership, communications and events can help you maintain a higher level of customer service while removing the burden of a mile long to-do list. Not all AMS tools are created equally. It’s important to research what your non-profit organization needs to ensure that you’re getting the right tool for the job. AMO offers a 30-day trial period so you can try it and see if it’s a good fit for your non-profit organization. Start your free trial or call us to learn more about what AMO can do for your non-profit.